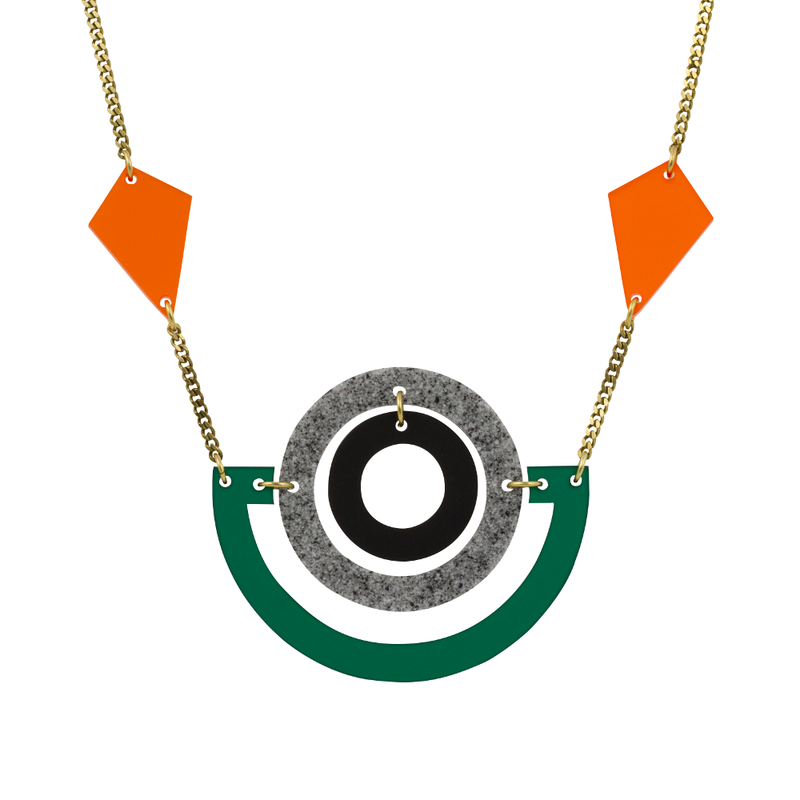 60s style in a nutshell – there’s something irresistibly retro about the Links. 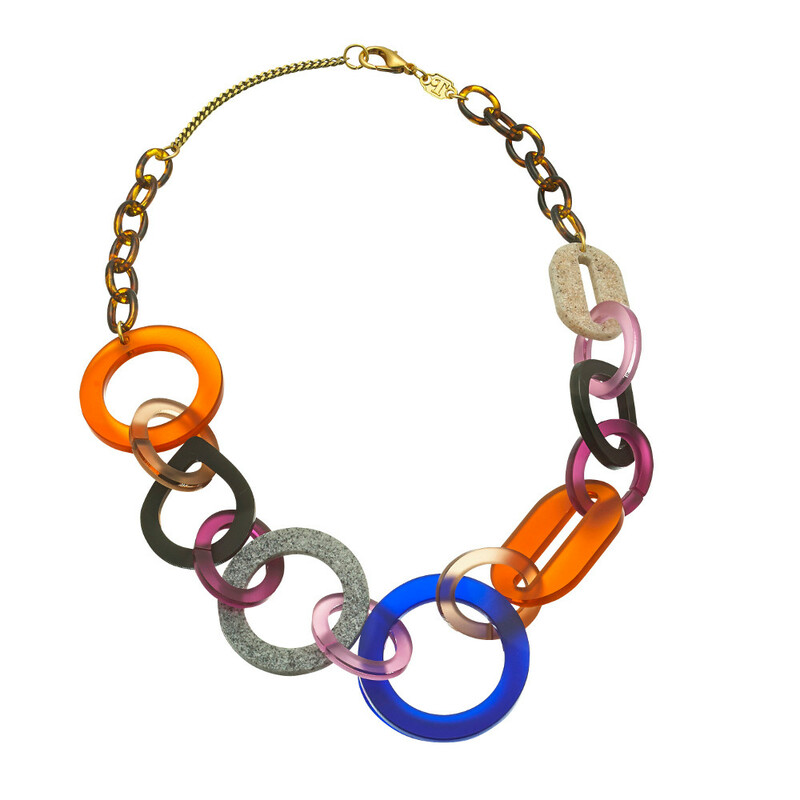 Combining the timeless 60s circle in a range of shapes and shades, this statement chain ticks all the vintage boxes while still looking fresh and modern. A future classic. 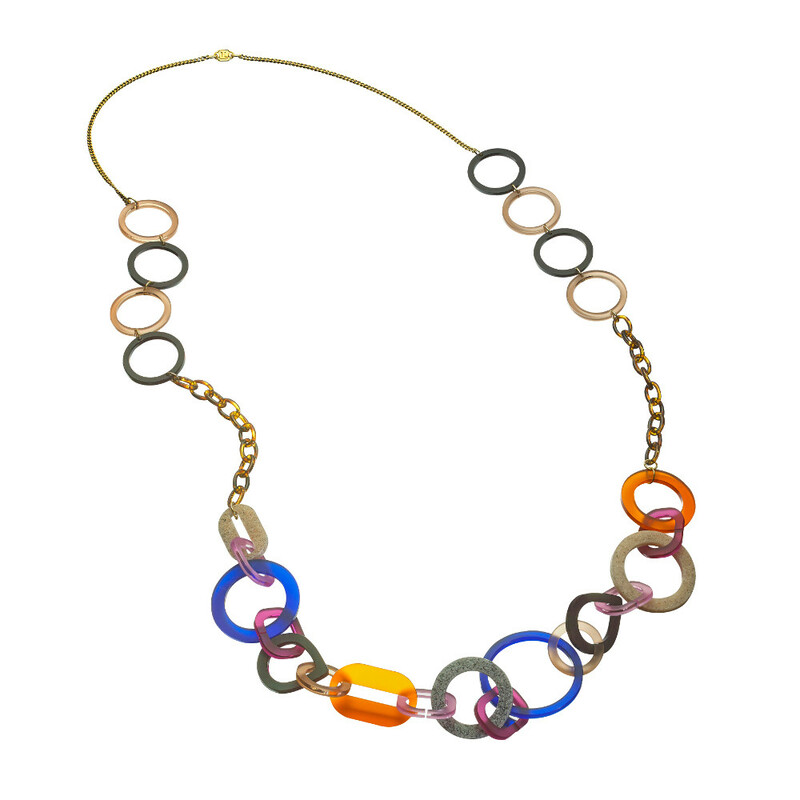 In understated tortoiseshell with bold accents. A shorter length to sit on the collarbone.